Solving the world’s environmental problems could take a significant toll on economic growth if only today’s technologies are available. We know that innovation – the creation and adoption of new cleaner technologies and know-how – provides a means to achieve local and global environmental goals at significantly lower costs. Innovation is also a major driver of economic growth. OECD governments are increasingly using environmentally related taxes because they are typically one of the most effective policy tools available. Exploring the relationship between environmentally related taxation and innovation is critical to understanding the full impacts of this policy instrument as well as one potential facet of “green growth.” By putting a price on pollution, do environmentally related taxes spur innovation? What types of innovation result? Does the design of the tax play a critical role? What is the effect of this innovation? In analysing these questions, this report draws on case studies that cover Japan, Korea, Spain, Sweden, Switzerland, the United Kingdom, Israel and others. It covers a wide set of environmental issues and technologies, as well as the economic and policy contexts. The research methods range from econometric analysis to interviews with business owners and executives. 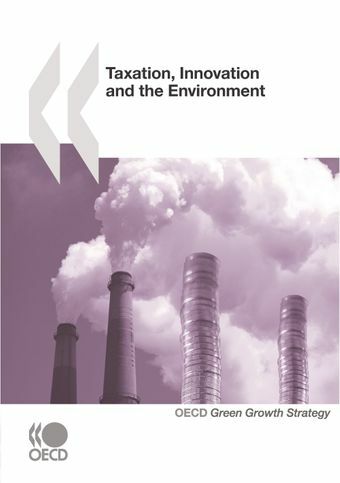 The report also explores the use of environmentally related taxes in OECD countries and outlines considerations for policymakers when implementing these taxes. Green growth policies can stimulate economic growth while preventing environmental degradation, biodiversity loss and unsustainable natural resource use. The results from this publication will contribute to the Green Growth Strategy being developed by the OECD as a practical policy package for governments to harness the potential of greener growth.